Mixed Martial Arts fans are in for a free treat this Saturday November 7 as CBS will showcase one of the elite fighters in the sports history, heavyweight great Fedor Emelianenko who has a date with undefeated Brett Rogers at the Sears Centre in Chicago. The 30-1 Russian fighter will meet Rogers in the cage after his last fight was cancelled, when his opponent, Josh Barnett, was caught using illegal substance. Meanwhile, Rogers comes ready to prove his critics and the MMA world that he is the real deal; the American fighter is riding on a knockout victory against former UFC champ Andre Arlovski. 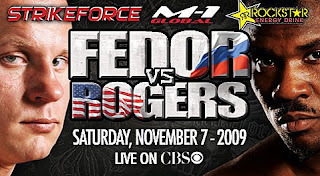 Experts say Rogers only chance of winning is knocking out the silent but deadly Fedor early in the fight. Fedor is notable for his great ground work and could be a disaster for Rogers if he gets on the ground with Fedor. Most experts have Fedor winning the fight, but don’t underestimate Rogers as he says he needs to fight for his family. As for Fedor, this is his first time fighting for Strikeforce. This is his debut for the company after he tried negotiating with Ultimate Fighting Championship, which went down the drain. His last fight was also with Arlovski, who he also knocked out at the defunct Affliction pay-per-view. 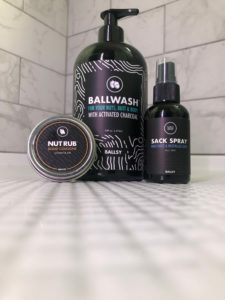 So lookout with what this company has to offer, the self-proclaimed heavyweight and fighter of all-time. If Rogers wins, it will definitely shock the sports world and will make headlines and help making into the big dawgs of sports media. Don’t miss the anticipated bout at 9 p.m. eastern time on CBS.